With an extensive business background, Rhode Island Attorney Susan T. Perkins understands the challenges that face her clients who’ve been accused of White Collar Crimes. 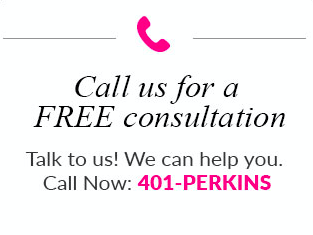 Attorney Perkins has a distinguished history of success in working with complex criminal charges. Business leaders, store owners and other regular citizens invested in a business have consulted Attorney Perkins on matters of embezzlement, money laundering, tax fraud and more. White Collar Crime Attorney Susan T. Perkins will work with forensic accountants and tax accountants to conduct a thorough investigation into your case, get an objective analysis of the evidence, and coordinate a successful defense strategy. Whether charged in Rhode Island, Massachusetts or Connecticut, she has experience working with clients who have been accused of a variety of white-collar crimes. Rhode Island Criminal Defense Attorney Susan T. Perkins is prepared to take on any state or federal white collar case and will ensure your rights are protected. If you have been arrested, indicted, subpoenaed, convicted or simply suspected of having any part in a White Collar criminal case, contact Attorney Perkins today. In addition to deep legal experience practicing White Collar Criminal Defense in three states, Attorney Perkins holds a degree in Finance and experience as an Assistant Attorney General in the State of Rhode Island. This rare combination of professionalism gives Perkins invaluable experience and a unique approach to criminal defense. If you or someone you know has been charged with a White Collar Crime, call Rhode Island White Collar Crime Attorney Susan T. Perkins today at 401-737-5467 for a FREE consultation.